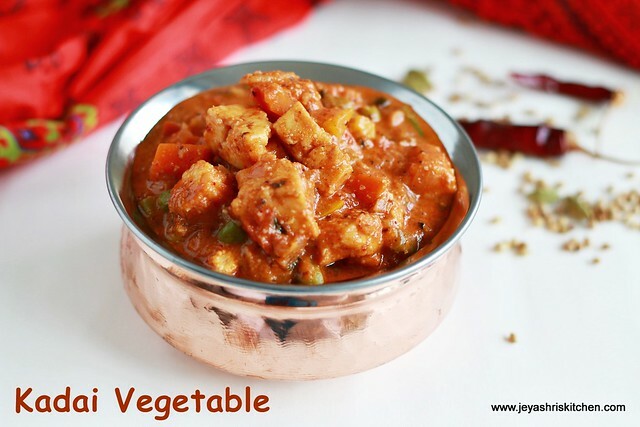 Kadai vegetable gravy is a similar recipe to the Kadai Paneer . 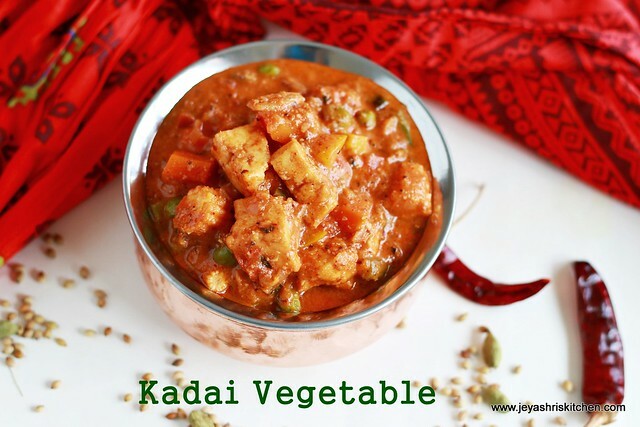 But generally Kadai Paneer will a semi dry dish whereas this Kadai vegetable is a with a little thicker gravy. 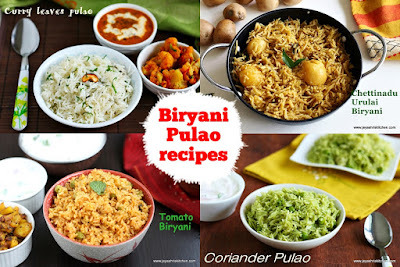 This is a perfect side dish for roti, naan, kulcha and even jeera rice and pulaos too. 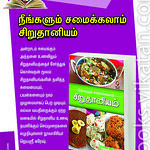 I have given this recipe for the supplement book given to Aval Vikatan in August 2014. 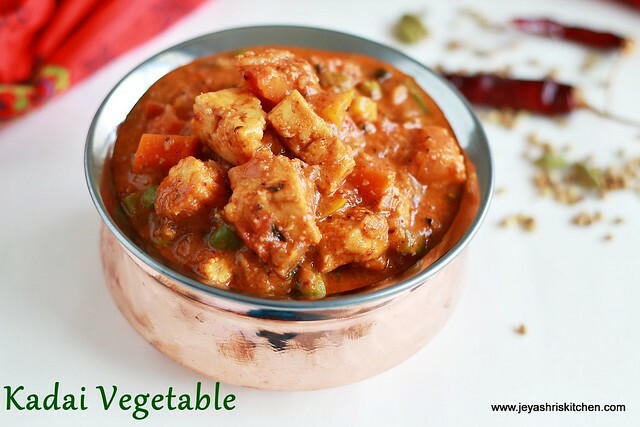 But this recipe was left in choice as there are few more recipes with mixed vegetables. 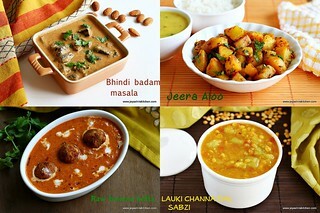 The mixed veg kurma, vegetable jalfrezi, Navratna korma were published. Yesterday when i was clearing my mail box, saw this mail in my folder and wated to try it out again. 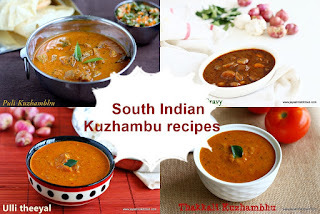 I vividly remember that everyone at home loved this Kadai vegetable. They all vouched that it tasted like the restaurant one too. I adapted the recipe from here. 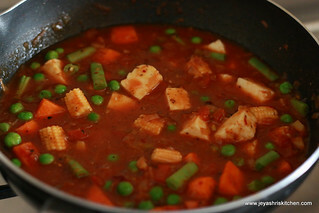 *Mixed vegetables i used carrot, beans, baby corn, green peas, capsicum and paneer. **I replaced fresh cream by grinding 7 cashews with little milk. 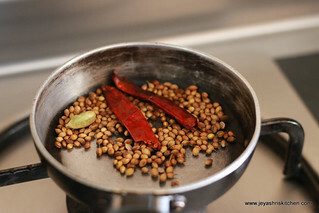 Dry roast the coriander seeds, red chili and cardamom just for 1-2 minutes in a low flame, till it emits a nice aroma. Pound this a mortar and pestle, else grind in a mixer. It won't grind into a very fine powder but still ok. 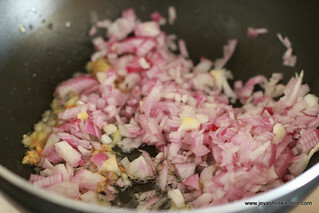 In a pan add oil and ginger garlic paste and when the raw smell goes add the onions. Saute them till it turns pink. 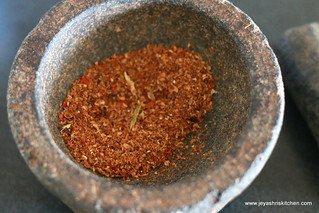 Add the red chili powder and cook for few seconds. 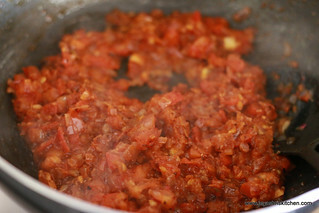 Add the chopped tomato and add in the ground masala powder. 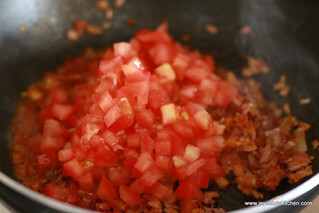 Cook in a low flame till the tomatoes turn mushy. 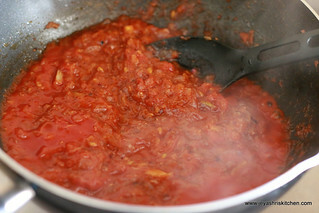 Add in the tomato puree. 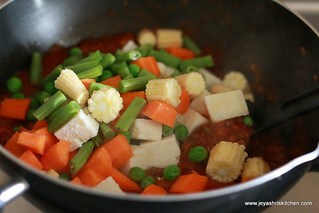 Cook for a minute and add the vegetables, except the capsicum. 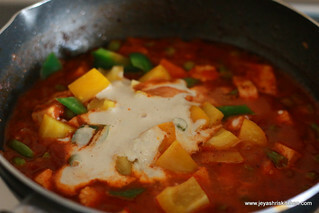 Add half cup of water and cover this and cook till the vegetables are cooked. Do not over cook them, let this be crunchy. Stir in between and also let the flame be low. If you want add little more water. But do no add too much. Add the capsicum now. If needed add the garam masala. If adding fresh cream add now, i soaked the cashew in warm water for 5 mins and grind with 2 tblsp of full cream milk and added instead of fresh cream. 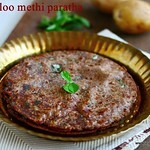 Add Kasoori methi and mix well. Do not cook for a more time after adding the cream. Switch it off. 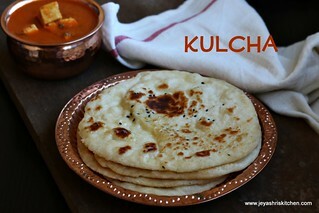 Serve hot with roti | lachha parathas too. 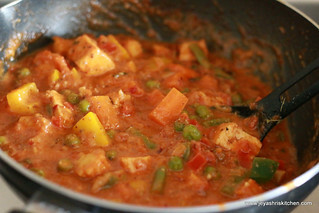 Mixed vegetables can be replaced only with paneer. In that case, no need to cook the paneer. 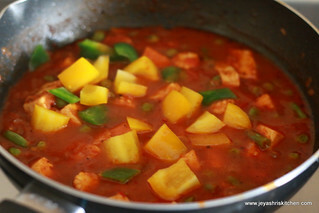 After adding tomato puree add in the cubed paneer and proceed. 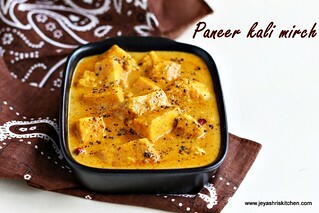 Instead of cashew, few cubes of soft paneer can be grind with little milk and added to the gravy in the last to make it creamy. Adding garam masala is purely optional. 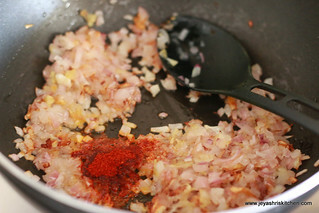 the fresh masala which we are adding gives the wonderful aroma to the gravy. 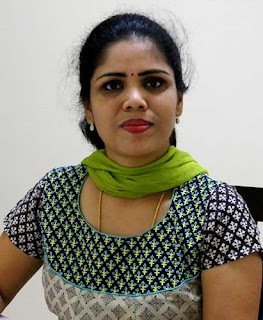 This looks fabulous, Jeyashri! :) Will definitely try it this weekend. 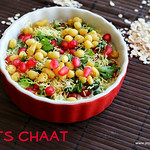 A nice side dish for chapati, rice and also fried rice. Thanks for Sharing.